The British Orthopaedic Association was founded in 1918 with twelve founding members. It now has over 4000 members worldwide, the majority based in the United Kingdom and Ireland. It is a pivotal organisation within the British surgical scene, representing some 40% of the total surgical workforce. Membership is made up of Consultants (active or retired), Surgeons in training and Staff and Associate specialist grades (SAS). There are over five hundred overseas members. The British Elbow and Shoulder Society was founded as a result of an increasing interest in shoulder and elbow surgery in the UK in the early 1980s, and particularly after a very successful Third ICSS meeting in Japan. The stimulus came from Michael Watson, who wrote the following letter on 3 November 1986: 'I think the time has come to take the bull by the horns and seriously consider the nuts and bolts of setting up a British Shoulder Surgery Association. I am sure that we are going to start to get enquiries for our corporate stance on technical administration. As a result of that letter the founding members of BESS met on 28 March 1987 at 92 Harley Street in London and set up the Society. The meetings of BESS have been held annually, the next one booked for June 2012. The British Orthopaedic Foot and Ankle Society started out as BOFSS (British Orthopaedic Foot Surgery Society) an informal society, in 1975, under the Presidency of the late Mr Basil Helal and gained its current charitable status in 1980. It has over 400 members including orthopaedic and foot and ankle surgeons and also affiliate members belonging to various allied health professions. BOFAS has grown into one of the larger subspecialist societies of the BOA and considers itself to be a friendly, dynamic and progressively thinking society with the deep-rooted ideals of promoting the study of, research into and propagation of knowledge in foot and ankle surgery. It directs policy and achieves consensus in the treatment of foot and ankle pathology and allied medical issues. It runs a very successful annual scientific meeting annually which includes instructional components for all levels of seniority. The Society is a member of the European Foot and Ankle Society and the International Federation of Foot and Ankle Societies. Membership of the society is open to UK consultants with a special interest in foot and ankle surgery and is also open to international fellows. The Society considers grant applications for research in foot and ankle surgery, offers travelling fellowships to trainees as also educational bursaries for Allied health professionals. The British Hip Society was conceived during the 1989 autumn meeting of the BOA when Hugh Phillips suggested the idea to Michael Freeman and Robin Ling. They were both enthusiastic and the first meeting took place at the Royal Society of Medicine during the following November. They currently have around 350 members, and this grows each year with their Annual General Meeting. 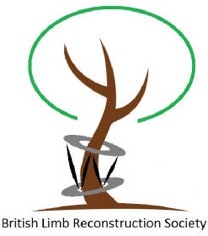 The BLRS was founded in 1997 with the object of bringing together surgeons and allied professionals involved in the management of congenital and acquired deformities of the upper and lower limbs, reconstruction of post traumatic limb defects and limb equalisation techniques. The Society aims to advance education and research in the field of limb reconstruction and holds regular scientific meetings and training courses. The Society is affiliated with the British Orthopaedic Association and with the International ASAMI (Association for the Study and Application of the Method of Ilizarov). The purpose of the British Orthopaedic Oncology Society is to promote discussion of oncological issues amongst Orthopaedic Surgeons in the United Kingdom. Membership is limited to clinicians with a declared interest in Orthopaedic Oncology. There is no membership fee. BOSTAA is the society for orthopaedic surgeons with an interest in the management of sports trauma. We include all anatomical sub-specialties but encourage an interest in the non-surgical aspects of sports medicine. We have links with national and international societies in the field of sports medicine. We have around a hundred members. BOSTAA hosts very popular sessions during the BOA annual congress and are expanding the number of courses we offer around the country. We aim to improve the understanding of the management of the sportsman/woman with a sporting injury, from dealing with the causes of injury managing the injury itself through to the return to sporting activity. Sports and exercise medicine is now recognised by the UK government as a specialty in its own right. With the prospect of the UK hosting the Olympic games approaching, sports medicine will become more important and sports trauma will be an integral part of that. The British Scoliosis Society represents surgeons, healthcare workers and researchers interested in the nature of and treatment of scoliosis and complex spine disorders. The principal object of the Society is to provide a forum for the study of the origin, natural history and treatment of spinal deformities. The Society has representation on the Standing Liaison Committee of the British Orthopaedic Association. 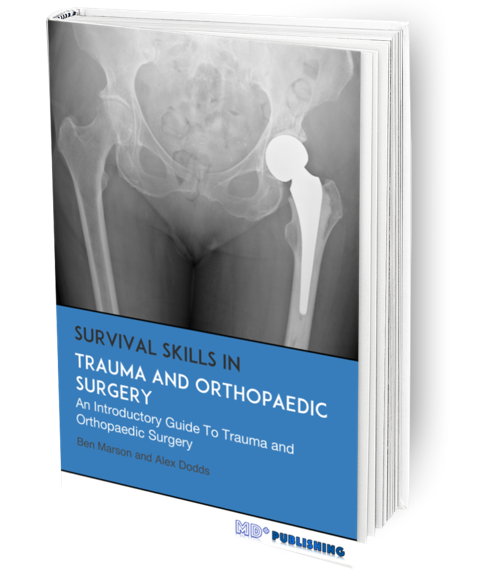 It provides a forum for discussion of research, advances in clinical practice and the results of surgical procedures pertaining to the practice of children's orthopaedics and trauma. The Society meets twice a year for a full day meeting involving lectures and papers, and contributes regularly to instructional sessions at the British Orthopaedic Association Congresses. There are also joint meetings with our French counterparts in Société Française d'Orthopédie Pédiatrique. The Society is a powerful force in promoting and directing the development of Hand Surgery in the United Kingdom. It co-ordinates education and research in this field. The Society organises two scientific meetings each year. It also disseminates knowledge through the “Journal of Hand Surgery” which it has published since 1984 and, before that, as the “Hand” since 1969. The Society has been running Instructional Courses for surgeons and trainees across Europe since 1999. These cover the entire curriculum in Hand Surgery in cycles of three years. The Society is a member of the Federation of European Societies for Surgery of the Hand (FESSH) and the International Federation of Societies for Surgery of the Hand (IFFSH). A Hand Club had existed in the UK since 1952, having been formed by a few eminent hand surgeons at a dinner in the Athenaeum. The “Second Hand Club” was established in 1956 to widen the membership and subsequently expanded into the British Society for Surgery of the Hand when it changed its constitution on 15th November 1968. The primary goal of the new non-profit organisation is to promote science and research in the fields of orthopaedics and traumatology in order to make progress in the treatment of musculoskeletal disorders and injuries. The overall aim of the FOUNDATION is to improve the level of orthopaedic and traumatological care throughout Europe by supporting knowledge exchange and training. To promote research and development in orthopaedic surgery and related sciences in Europe through interdisciplinary coordination, exchange of scientific and technical experience, and education. SICOT, Société Internationale de Chirurgie Orthopédique et de Traumatologie, is an international non-profit association incorporated under Belgian law with the aim to promote the advancement of the science and art of orthopaedics and traumatology at international level in particular for the improvement of patient care, and to foster and develop teaching, research and education. In 2009, SICOT celebrated its 80th anniversary.